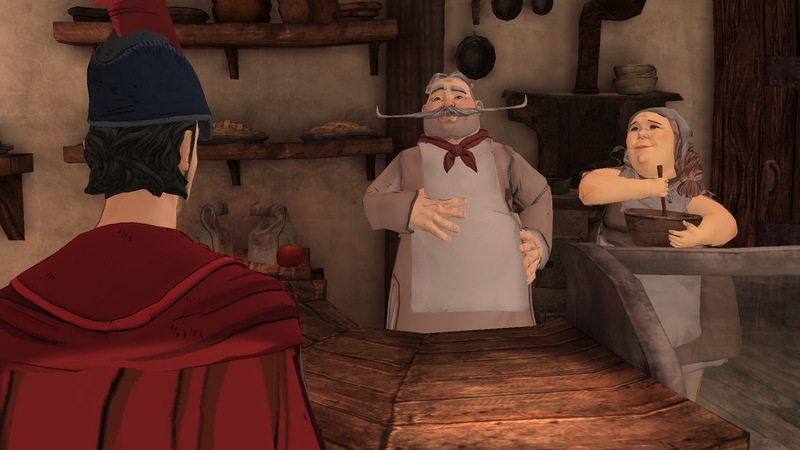 After what seems like an eternity between episodes, Episode 4 of King’s Quest finally had its release a couple of weeks back. 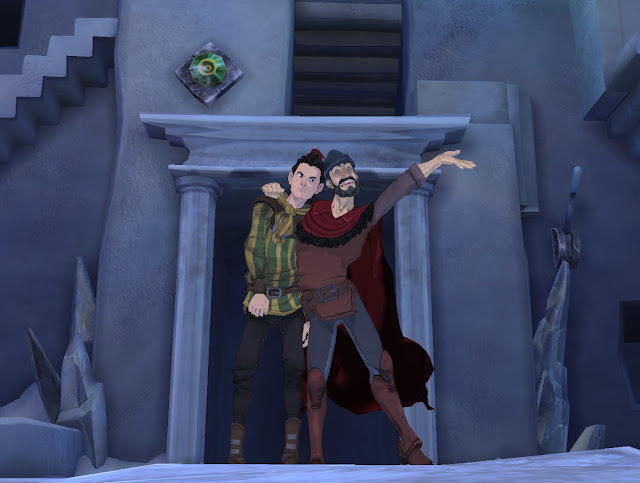 The following are some thoughts on the progression of the story so far in the series, but be warned, there are some minor spoilers that follow. For those of you who are looking for a full review, I'll have that at some point after completing the last chapter, which isn't long away now. Related reading: You can read Brad's thoughts on the first chapter of the game here. Snow Place Like Home (I'm loving the traditional puns of the episode titles!) is incredibly puzzle-heavy, even compared to previous episodes in this series. Players who loathed the sliding puzzles of far too many games in the past are not going to find this to be their cup of tea. Not only is just about every puzzle a sliding ice puzzle, some of them feature multiple layers of them, meaning some ferocious brain challenges ahead for our protagonist, King Graham. And these puzzles must be solved by puzzle master himself, King Graham. If you recall, last episode he had just found himself a queen for Daventry. The beginning of the episode calls for Graham to complete rather mundane fatherly duties for his new twin children. Fetching pacifiers, warming milk, burping his babies and more makes for a slow, methodical opening to the episode, but one that instantly attaches the player to both Graham as a father and his children. For those who played King’s Quest III thirty years ago will recall that this peaceful life doesn’t last long. Lo and behold, a foe from the previous episodes reveals himself as the wizard Manannan and swiftly takes Alexander away from a powerless Graham. 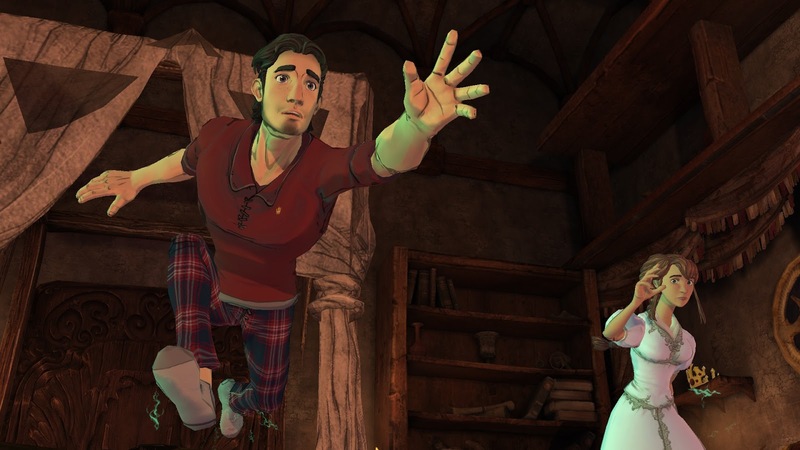 This serves as a precursor to the original King’s Quest III and it is tied in beautifully, especially considering it has been thirty years since King’s Quest III came out. The bulk of the episode occurs 18 years later. Graham still feels remorse for the loss of Alexander, and the rest of the family does their best to cheer him up. Just as Graham agrees to set out, Alexander bursts through the castle doors. Graham immediately makes it his sole duty to make up for the last 18 years of lost time by taking the family out on a vacation. Without revealing any more of the plot, there is of course a teething period between father and son. Alexander’s teen angst plays a part in the plot and a plot twist towards the end reveals an unlikely foe. Between just about every cut scene are numerous puzzles. The puzzles themselves also become part of the plot and serves as a way for Graham to communicate with Alexander. The game is almost nothing but puzzles this time around, with the point and click element of adventuring almost non-existent. As mentioned, you're probably only going to find the puzzles only okay, but it really is the narrative that drives this episode home, even if player-choice is for the most part taken out of the game entirely. Overall, while Episode 4 is, well, the weakest chapter to date, the core-narrative of Graham’s growth as a king and passing on knowledge to his grandchildren is still present and strong. Episode Five has just come out (which is a surprise, given there are normally 4 months between episodes! ), so look out for thoughts on that episode shortly. Hopefully the epilogue will not be far behind, and fingers crossed the entire series has proven popular, because looking beyond that epilogue, there is a lot that can be done yet.